The Villages in Florida is a great place to retire to. 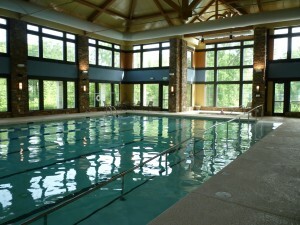 Many retirees have chosen The Villages to spend their lives living a fun and interesting life surrounded by their peers. Most people look forward to retirement and this small town provides the perfect place for them to retire to. It was created specifically for senior citizens to have a place where they can come together and enjoy each other’s company. In fact, there are so many people living here that are over the age of 55 that this community is one of the world’s biggest retirement communities. Seniors who want to visit this community before deciding whether or not to make it their home can come for a vacation and stay in a fully equipped cabana. The Creekside Cabanas can be found in Lake Sumter Landing. Those who come and stay in one of the community’s cabanas will receive a golf car that they can use for the duration of their stay. 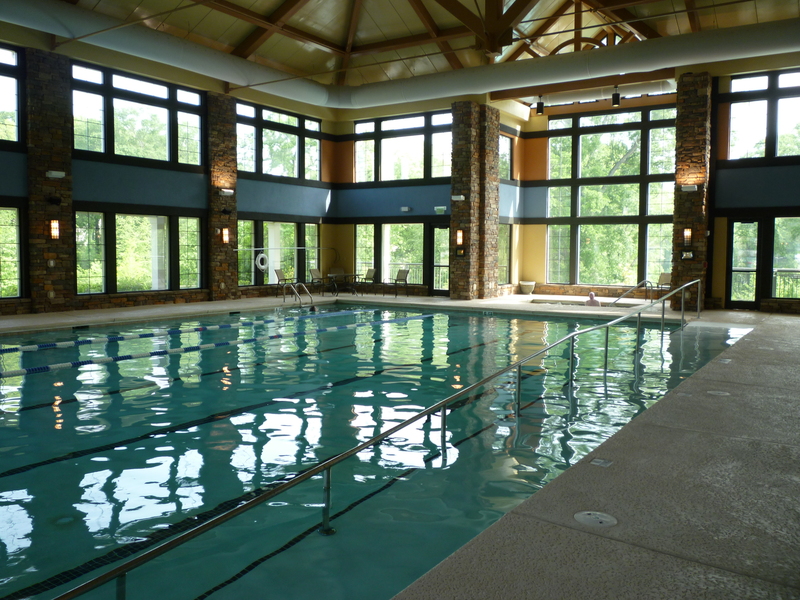 Some of the recreational activities offered include tennis and golf courts, pools and fitness & recreation centers. The signature stores found in this community offer discounts and free movie tickets to visitors. These are all privileges that the community’s residents are entitled to every day. Visitors can board a boat for a very relaxing ride that departs from Lake Sumter Landing. They can also take a tour of the town by hopping aboard the community’s trolley. There are countless exciting activities offered to residents on a regular basis such as the community’s three town squares; Brownwood Paddock, Spanish Springs Town and the Lake Sumter Landing Market Square. Brownwood Paddock Square is designed to look like a typical cattle town in Florida. Residents and visitors can see a movie at the Barnstorm Theatre, which shows the newest Hollywood releases. It is also the home of Brownwood Paddock Square’s log cabin, where live performances take place every single night. The Spanish Springs Town Square has a southwest feel to it, which can be seen in the town square’s shops and fountains. Some of attractions found in Spanish Springs include the Church on the Square, the Rialto Theatre and Cruise-In, which is a monthly classic car show. There are many restaurants to choose from that offer both indoor and outdoor seating. Live entertainment takes place every night at the Spanish Springs Town Square as well. Lake Sumter Landing resembles an intimate seaside village. The landing’s lighthouse is a Spanish Springs landmark. Lake Sumter Landing is also where the Old Mill Playhouse movie theatre is located. In addition to all the fun aspects of these small towns, potential residents should know that their physical, mental and spiritual health would be taken care of while living here. There are many health care and fitness facilities on site, as well as The Villages Regional Hospital, a VA outpatient clinic and the Moffitt Cancer Center. The community has a hospital dedicated to long term acute care. The Spanish Springs Town Square holds the MVP Sports Club, which offers personal training, spas services and exercise/fitness classes. The various fitness centers found throughout the community provide residents with a place to work out with weight training machines or treadmills. Those residents who wish to attend church while living in the community have many choices at their disposal. Some of the churches that can be found here are the Hope Lutheran Church, Temple Shalom the Chapel of Christian Faith, St. Timothy’s Catholic Church, Open Bible Lutheran Church, and the St. George Episcopal Church. Residents who wish to keep their minds sharp can always take classes at the community’s Lifelong Learning College. Classes are offered all year long in a variety of different subjects. Transportation throughout the community is made easy because every resident has their own golf car, which they can easily drive to any of the attractions found in this diverse community. Florida, known as the Sunshine State, has been attracting people almost every year since World War II due to its warm weather, world-class entertainment, beautiful beaches and recreation areas, and proximity to both North and South America as well as the Caribbean. Although many people think of Miami or Orlando when considering moving to Florida, there are many smaller communities that are attractive and still close to those major areas. In this article, we’ll explore why these Florida retirement communities should be considered for anyone wanting to move to a small town in Florida. 1. 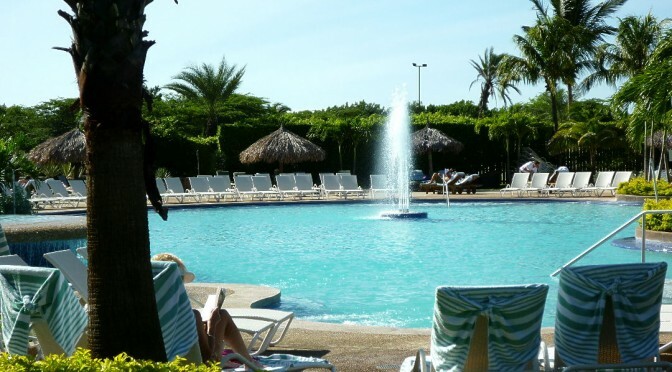 Naples, FL – with the first people moving to what is now know as Naples, FL arriving in the 1860’s, Naples has always been noted for it’s mild climate and plethora of fish and other game. Socialites have always called this place home back to the time of Thomas Edison and Greta Garbo. Why would someone want to live in an area known for celebrities? With one quarter of the population older than 65, this area is very retiree friendly as well as having beautiful beaches. With many cultural amenities like museums and parks, there are plenty of indoor and outdoor amenities to enjoy as well. Some museums to check out include the Collier County Museum, highlighting local history through the centuries, and the Von Liebig Art Center, which showcases art after 1950 and in the local style. Parks to enjoy include the Corkscrew Swamp Sanctuary , which was the first national preserve in the US Parks System and is great for birdwatching, canoeing, and kayaking, and Fakahatchee Strand State Park which is full of endangered species including the Florida Panther. It also has a 2,000 foot boardwalk to look at the natural setting. If you’re daring, you can even get a guide tour of the swamp! 2. Clearwater, FL– named one of the “Ten Best Beaches From Maine to Hawaii” by USA Today, Clearwater, FL is one of the nation’s top vacation destinations. However, with a great climate and white sand beaches, it’s also an ideal place to relocate due to a laid back lifestyle. Located just west of Tampa, FL, Clearwater has 28 miles of beaches and is a stereotypical beach town with small roads, people hauling coolers, and lots of boats. However, it has a diverse economy with manufacturing, education, and tourism making it an easy place for people to find jobs. Being close to St. Petersburg International and Tampa International Airports also makes traveling and having friends visit easy as well. With marinas, beaches, and an aquarium, Clearwater’s location on the beach means there’s lots of water sports and fishing. 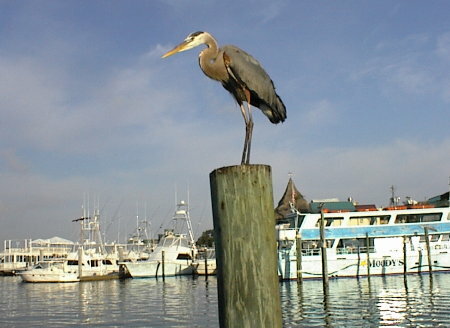 As home to the biggest fishing boat fleet on the Gulf Coast of Florida, there are many opportunities to go deep-sea fishing, dolphin watching, and just leisurely sailing the clear waters. 3. Winter Park, FL– this little community is located just north of downtown Orlando and is probably one of the first “wealthy” areas of Orlando. There is a lot of history here with professionals from Orlando’s early years residing here. Home to Rollins College, Winter Park is a small community that has kept its roots as a vacation resort to the rich in times past to now becoming a bedroom community of Orlando. In many parts of this small town, you can walk by various shops with a farmers market every Sunday just west of the main park north of Rollins College. Although a bit pricey for homes due to the highly-educated and highly-paid workforce, Winter Park makes up for it in cute brick paved streets and low speed limits which makes it quiet for people living here. Winter Park is a great community to consider living in for those who want a tight knit, classy town that has all the amenities of a small town while being a few minutes from downtown entertainment and work space. Overall, living in Florida has its pros and cons. Even though it’s extremely hot in the summer months, the proximity to the beach, mild temperature outside of the summer months, and slow pace of life make Florida a great relocation destination for those who want a simple life that doesn’t involve winter weather. Naples, Clearwater, and Winter Park are all communities that a person should consider when looking at Florida 55+ homes for sale. Recently I spend a week down in Destin Florida. Of coarse I had to check out the real estate market.Â Riding around I sure did see a lot of For Sale signs on a lot of really nice properties. A local broker says the property and lot sales dropped big time in the third quarter of 2005 and have leveled out at a much lower level.Â He reckons it will stay that way for another two years or until the new regional airport opens.Â I do bet with a new larger airport that will help spur things up a bit. Destiin is such a beautiful area and a lot of people have second homes there. To them, if they are long term holders, it shouldn’t matter much.Â We talked with an owner at the condo community we were staying. She is from Oklahoma and has owned here unit since it was new, about 30 years ago.Â They visit about twice a year and do not rent out their property.Â She has such a low initial investment, it really has paid off for her. Plenty of properties to rent for a week or longer in Destin even thought rental rates seem to be holding up very well.Â Â But I know Destin had become so hot, a lot of people were into flipping.Â I know several people who says they would put down a pre construction deposit and then were able to sell at a double closing when property was ready for a big profit.Â Those days seem to be over for the time being. Destin will come back so a bargain hunter could start looking now. Many retirees are getting a second home to live in part of the year and keeping their current home. Or if you live in a nearby metro like Atlanta for example, you could make several trips down as often as you like, and either rent out your unit or not. Â Destiin is such a beautiful area and a lot of people have second homes there. To them, if they are long term holders, it shouldn’t matter much.Â We talked with an owner at the condo community we were staying. She is from Oklahoma and has owned here unit since it was new, about 30 years ago.Â They visit about twice a year and do not rent out their property.Â She has such a low initial investment, it really has paid off for her. I hear this more and more. People are moving to communities now rather than waiting, and pulling it off due to Technology.